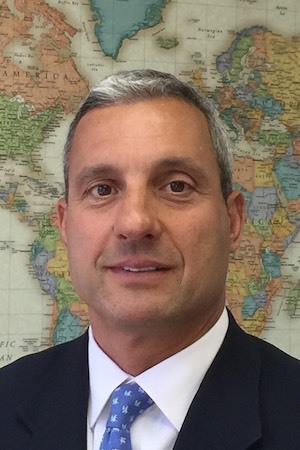 Dominic Napolitano is the founder and Managing Member of Talson Partners, LP. Prior to founding the Partnership, from 2001‐ 2009, Mr. Napolitano was employed by Soros Fund Management, where he was instrumental in building and overseeing multibillion dollar portfolios of investments for the Quantum group of funds, and other Soros affiliate portfolios. In addition, during his tenure he designed the manager selection and due diligence monitoring processes. His work included reviewing thousands of investment managers from an investment, business, and operational perspective and extensive negotiation of terms, fees, and structures. From 1998‐2001, Mr. Napolitano managed discretionary funds at Graham Capital Management and prior to that, from 1992‐1998, Mr. Napolitano was employed by Tudor Investment Corporation in the capacity of researching, trading and managing proprietary capital. It was at Tudor that Mr. Napolitano gained his knowledge of the underlying risks of the instruments employed by asset managers. Prior to Tudor, Mr.
Napolitano worked at Refco Securities covering, among other entities, large hedge funds and institutional clients. He began his career on the floor of the Commodities Exchange. Mr. Napolitano graduated with a B.A. in Economics from Middlebury College and spent half of his junior year studying finance at Columbia University. Mr. Napolitano has over two decades of direct experience in trading and investing in securities, as well as managing and overseeing investment portfolios. He is also a member of the Greenwich Roundtable and serves on the Education and Programming Committees. His unique and extensive experience plays a pivotal role in Talson’s pursuit of sustainable, superior performance.